Chaat is something that everyone love to eat. This can be served with tea,or as a snack.Preparing chaat is very easy that anyone can do. 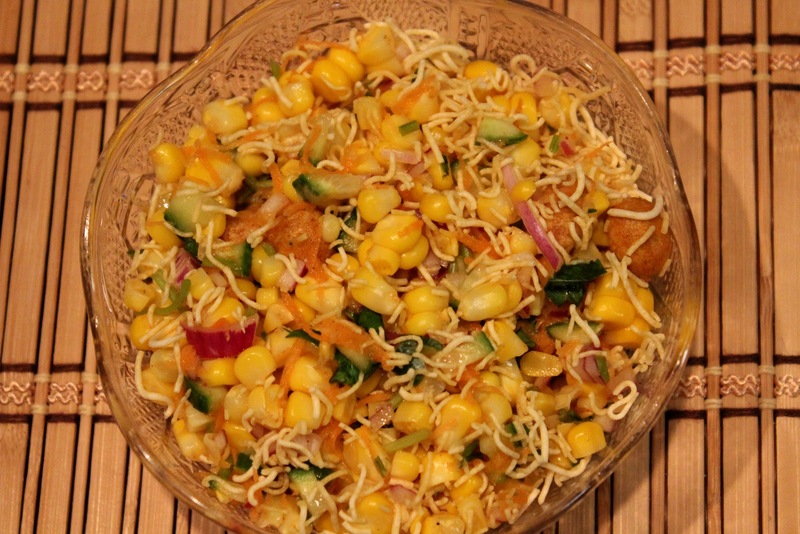 Today I am going to share the recipe of “Sweet Corn Chat”.Sweet corn itself is very special.Making chaat with that will be soo delicious.So lets proceed. Take a bowl add sweet corns, chopped onions, chopped cucumber, chopped bell pepper, chopped tomatoes, grated coconut. Add chopped coriander, lime juice. Then add sev, boondhi, mix it well and serve this.